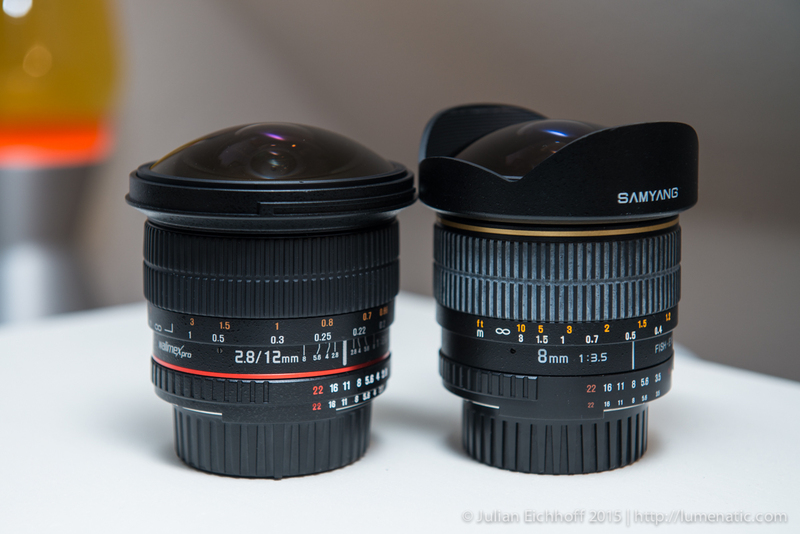 Back in September 2014 Samyang announced a new lens – a 12 mm f2.8 fish-eye for full-frame cameras. A prototype was shown at Photokina in Cologne (see picture below) but the lens was not available until now. 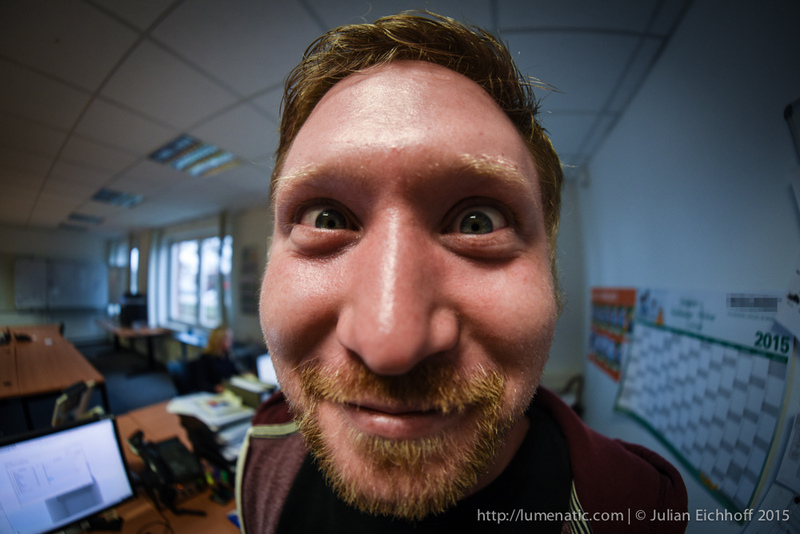 I already own the Samyang 8 mm f3.5 fish-eye and it is a fun lens. 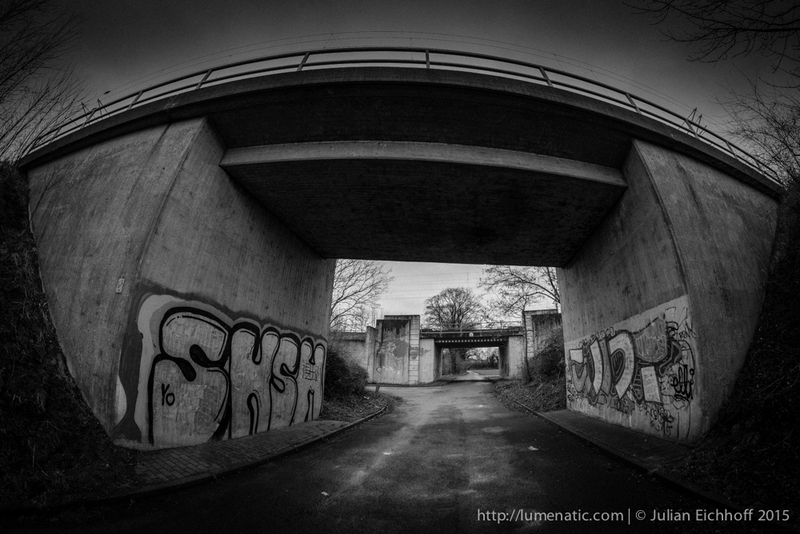 You can see some sample images in my “urban” photo gallery on this website. But it is the version for APS-C sized sensors (Nikon DX cameras). 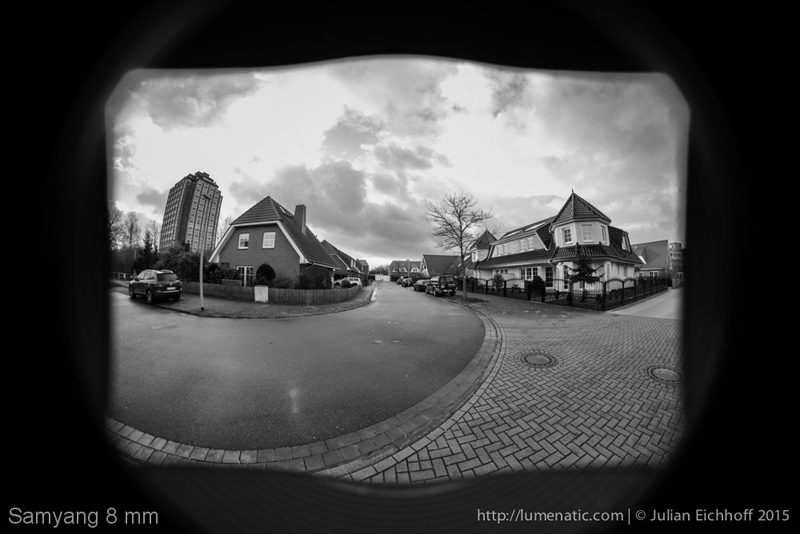 I owned the Samyang back in the days of my D70s/D300s, and as I switched to full format the lens stayed as a full-frame fish-eye was not on the market (at least not a reasonably priced one). 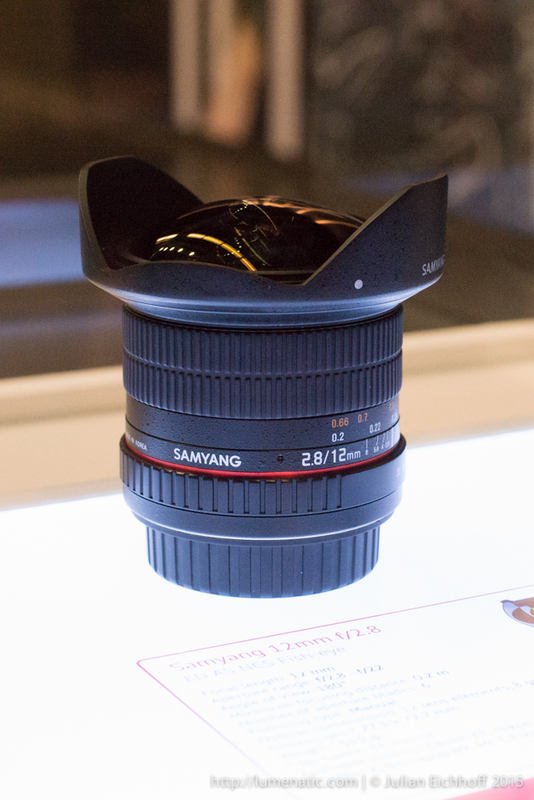 The lens Samyang announced is not broadly available yet (Status: January 2015). It seems to be in the phase of introduction and getting it required some searching. I could have ordered it via eBay directly from Korea, but decided against it due to warranty reasons (although it was considerably cheaper). 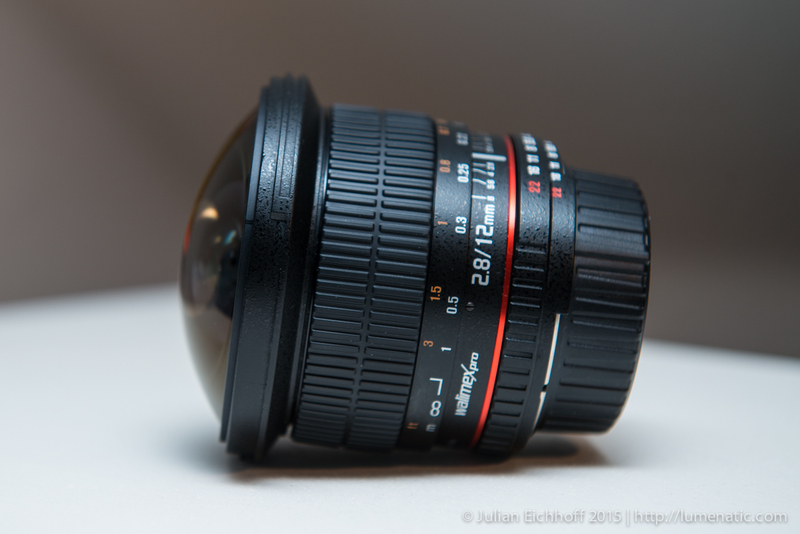 Finally I found the lens branded as “Walimex Pro”, sold and shipped from Germany for 549 €. WalimexPro is the house-brand of Foto Walser, a large online retailer for photographic equipment. They seem to partner with Samyang, selling their lenses under another branding. Clicked, ordered, waited impatiently drumming my fingers, doorbell, postman, parcel, woot woot ! 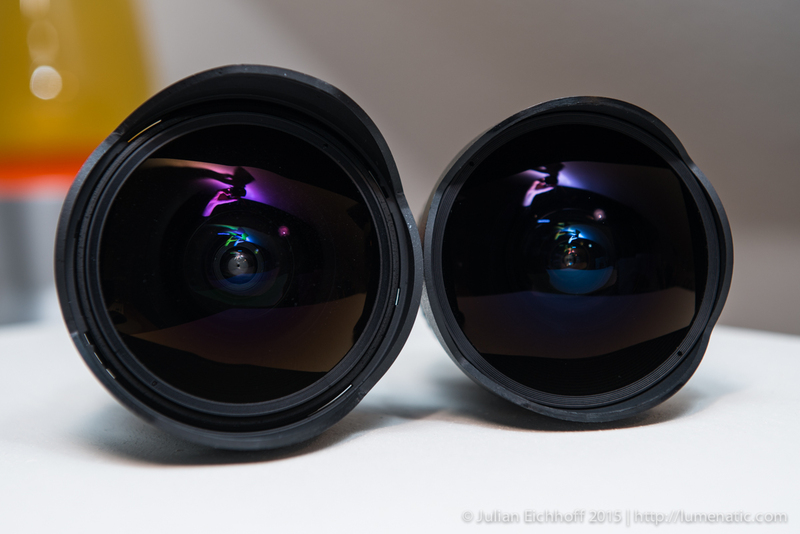 The lens is surprisingly similiar in size to the APS-C version, although it is for full format and has a larger aperture. 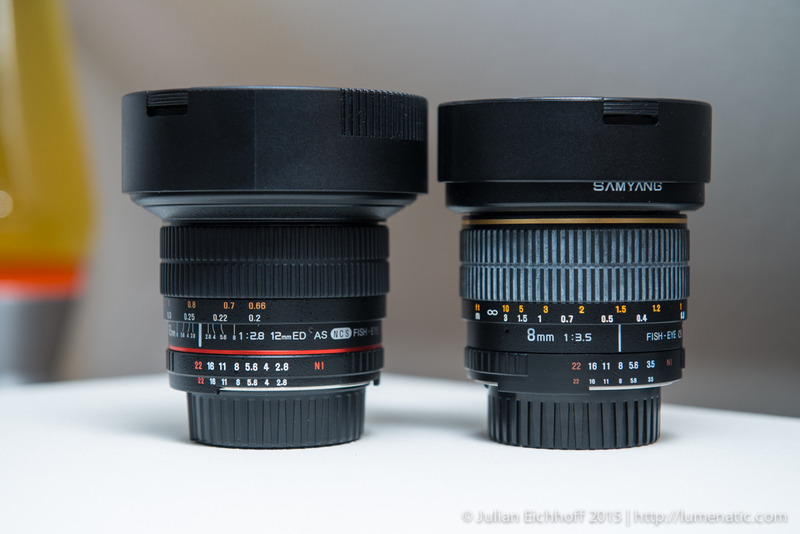 The distortion is quite the same compared to the 8 mm at APS-C, but this is logical. 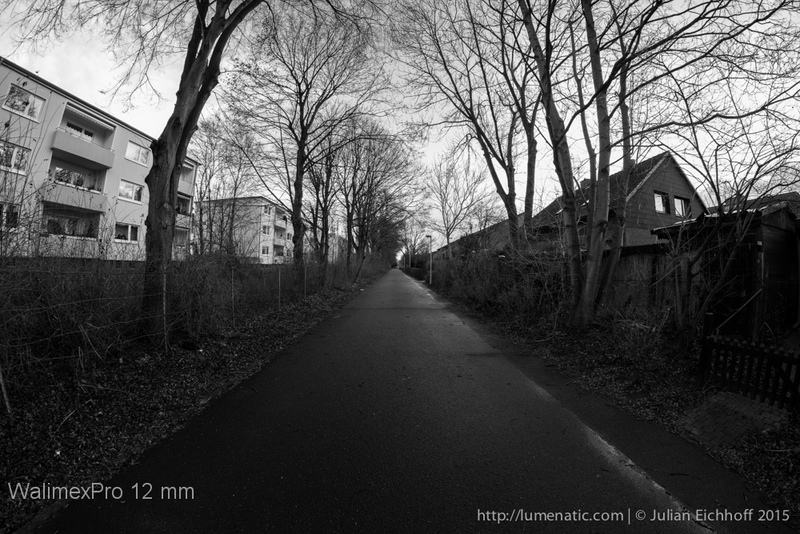 An 8 mm at a crop camera equals 12 mm (x 1.5, which is the crop factor) at a full-frame camera. 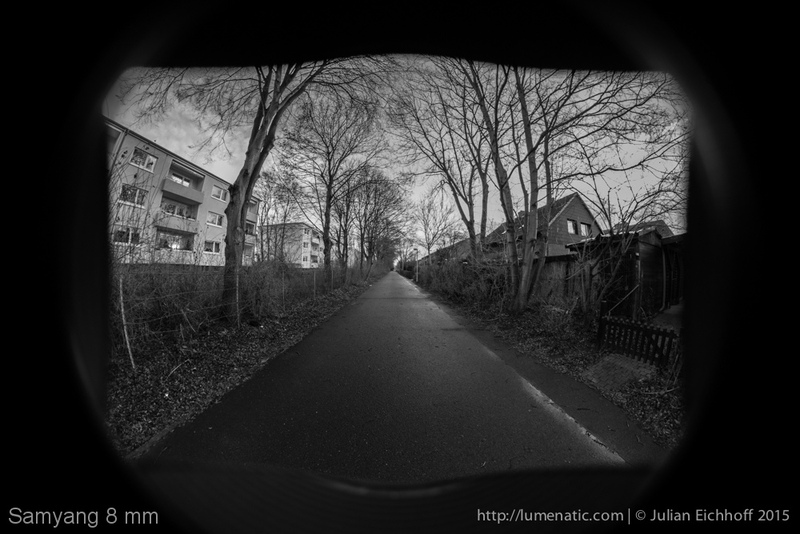 In contrast to the 8 mm fish-eye the lens hood is detachable. 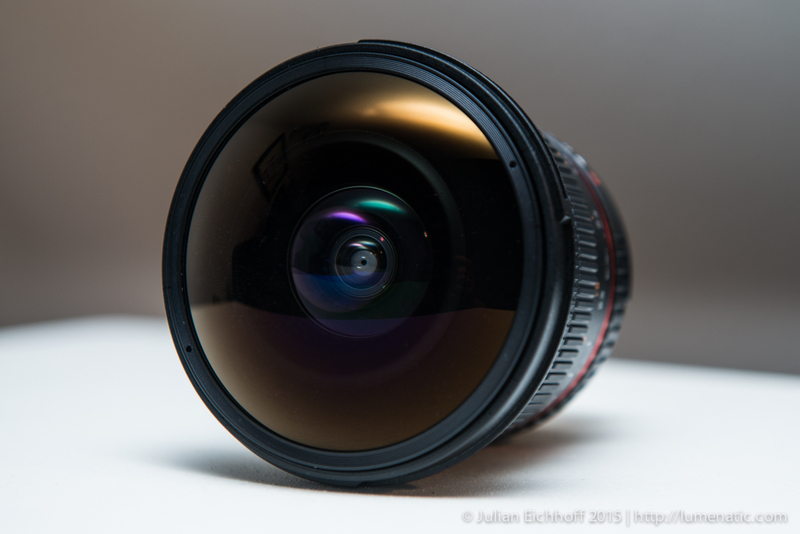 Due to the bulbous front lens filters can not be attached. 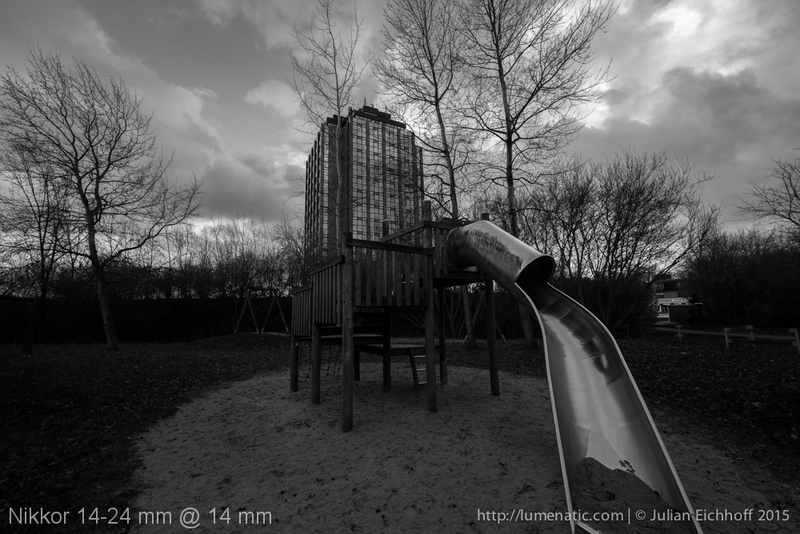 When I mounted the lens there was a little more friction between lens and the camera’s bayonet than expected. Let’s say it is a tight fit, but I do not deem it to be a problem. 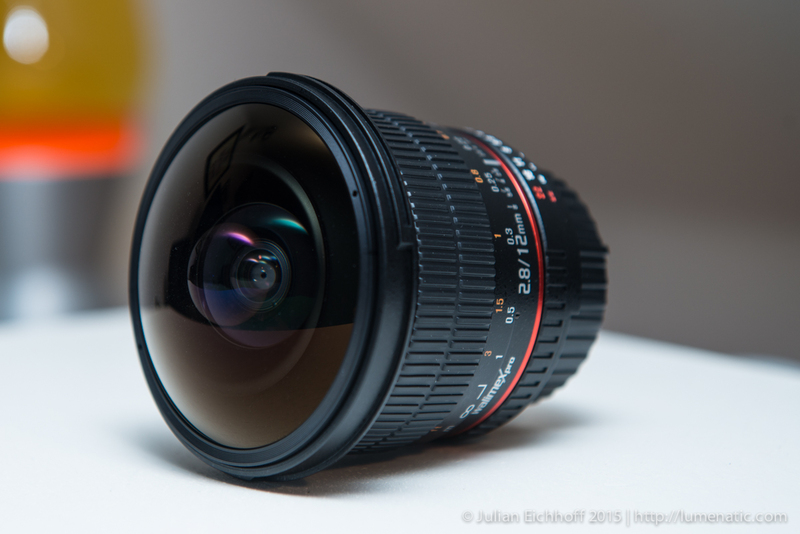 The fish-eye is manual focus only, but the aperture and exposure information are transmitted. As you can see in the sample images below the lens is quite sharp (well, that’s what a lens is supposed to be). 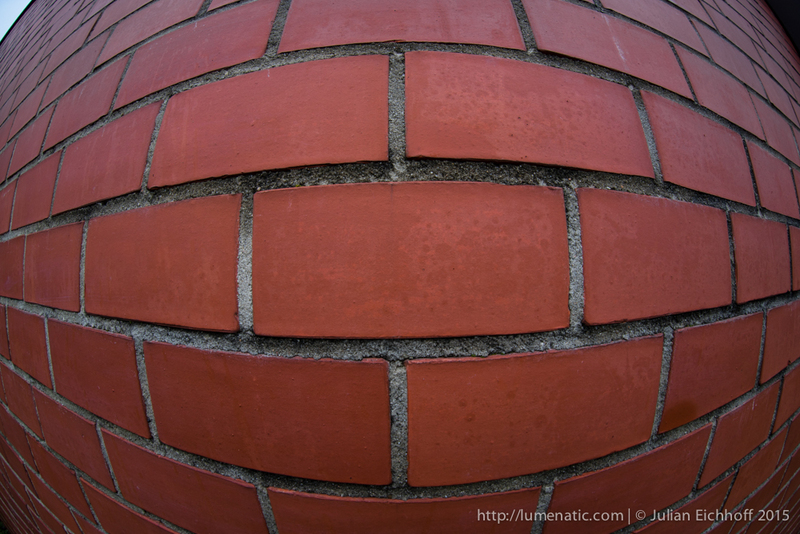 It covers nearly 180 degrees (well, it’s a fish-eye, but never fails to amaze again…). Please excuse the abundance of b/w photos. 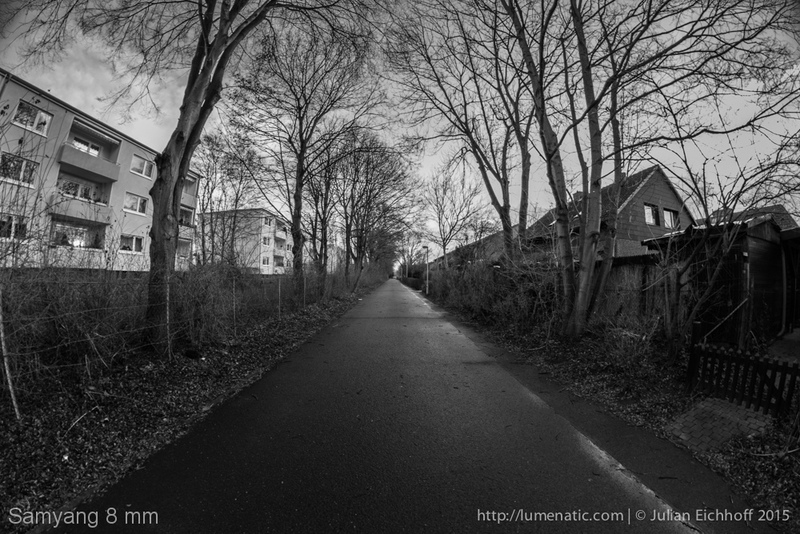 The weather is quite s#!tty these days and b/w seemed to be the better option. 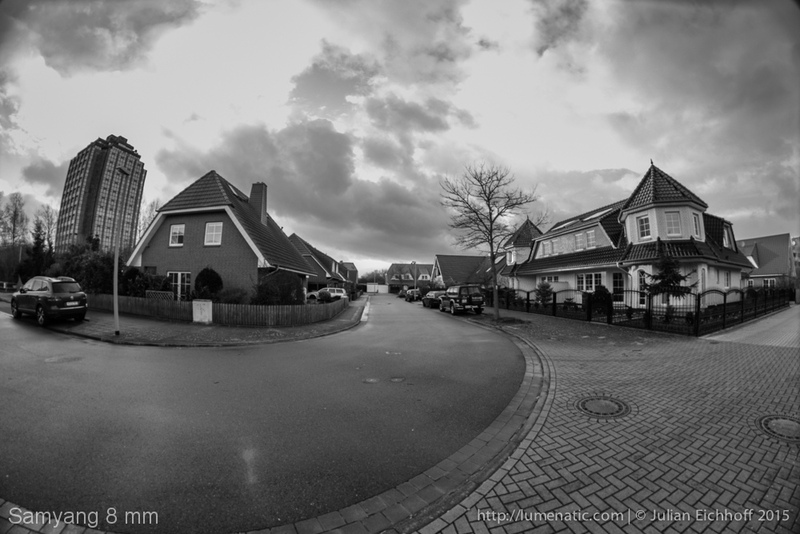 As I already own a fish-eye lens (the Samyang 8 mm f3.5 for DX cameras, see sample images here, here, and here) I know what it can do. 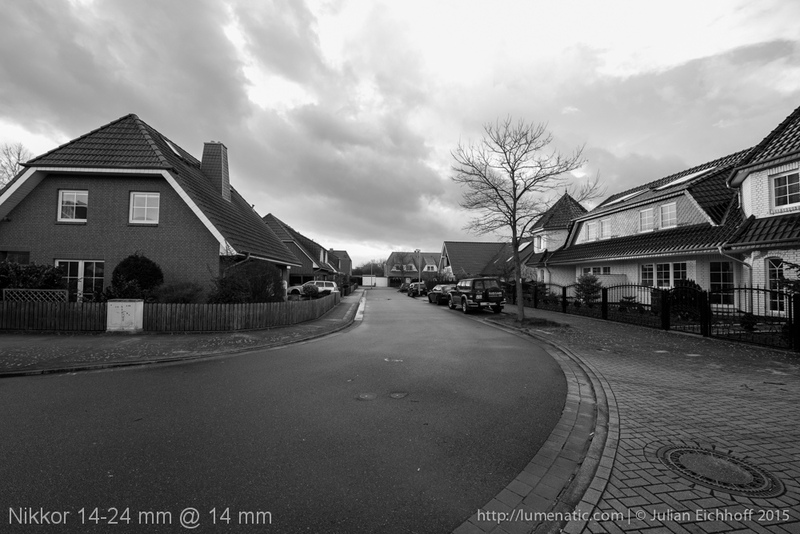 But I found it interesting to compare the three wide-angles I currently own: WalimexPro 12 mm f2.8 / Nikkor 14-24 mm f2.8 / Samyang 8 mm f3.5. 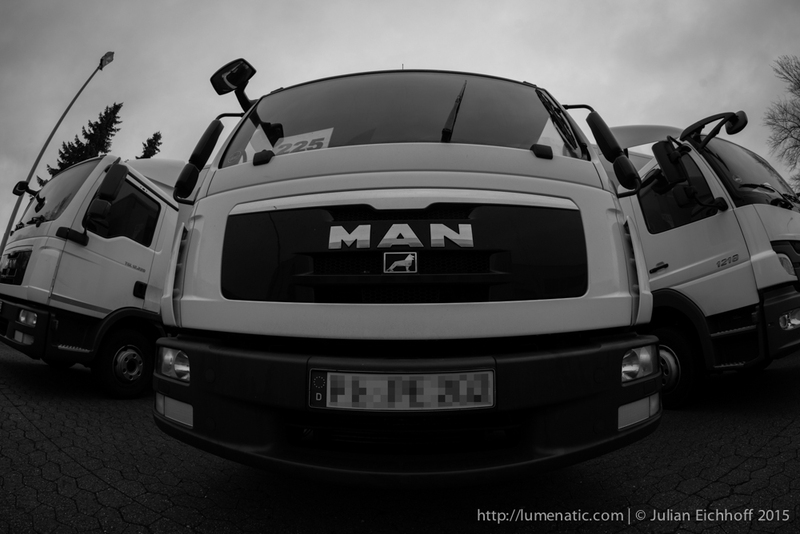 The focal lengths perform as expected. 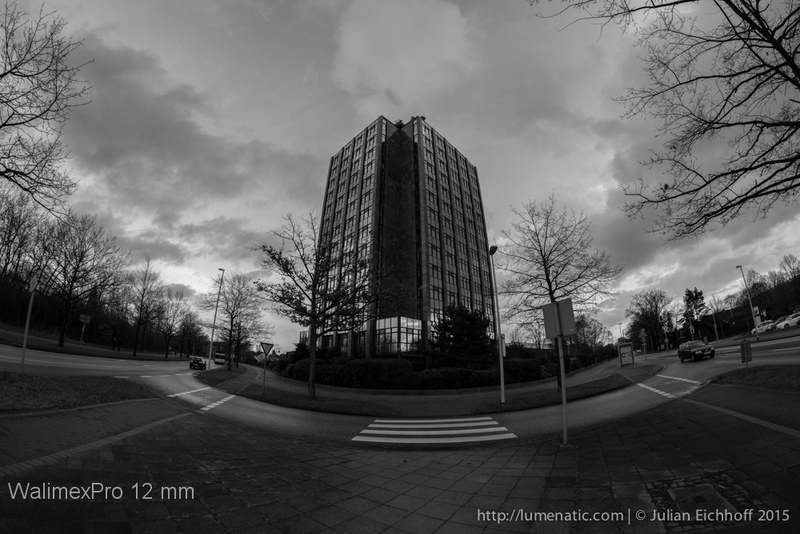 12 mm gives you a distorted fish-eye look. 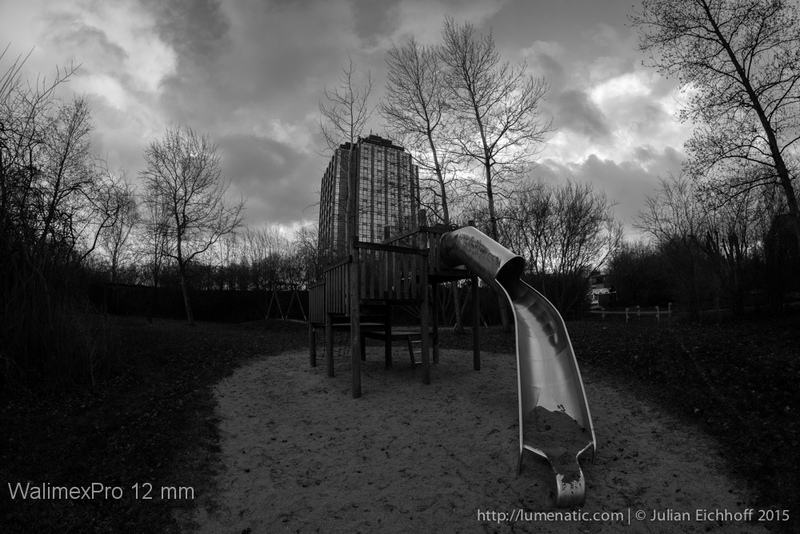 The 14 mm show less distortion and a slightly smaller area of view (the Nikkor 14-24 is famous for its low distortion considering the 14 mm wide angle by the way). 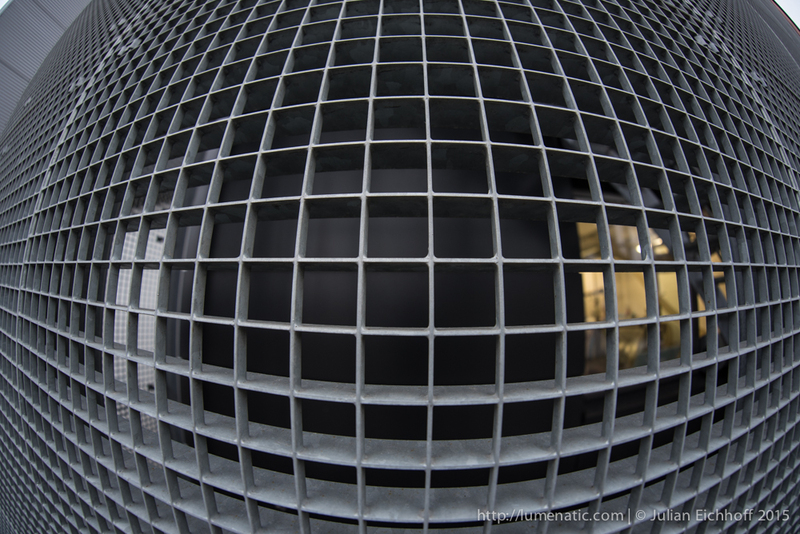 The Samyang 8 mm, being a DX lens, show a black frame around the border since the lightcircle which is projected onto the sensor is designed for a smaller area. 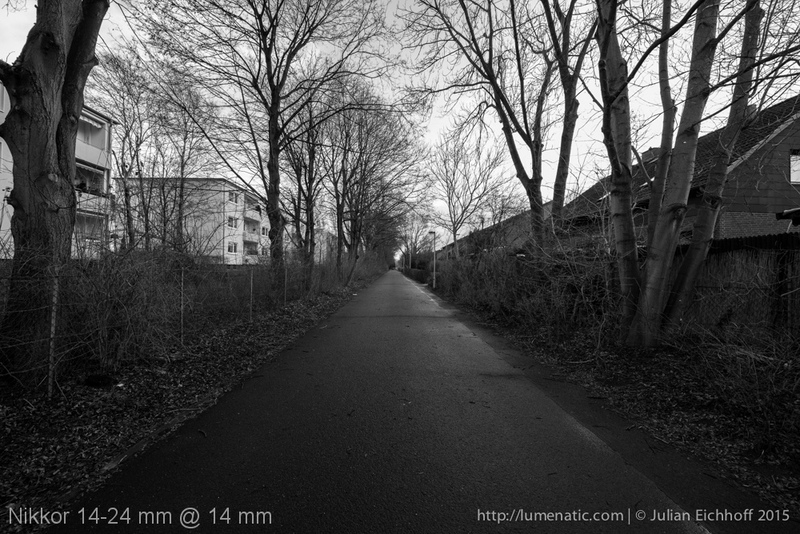 After cropping the image to the middle section the field of view is nearly identical to the 12 mm WalimexPro. That, by the way, is a nice visual proof that any focal length on a crop camera has to be multiplied with the crop factor to receive the same field of view on a full frame sensor (8 x 1.5 = 12). Bottom line: A sharp and astonishingly wide lens. Image quality is great. 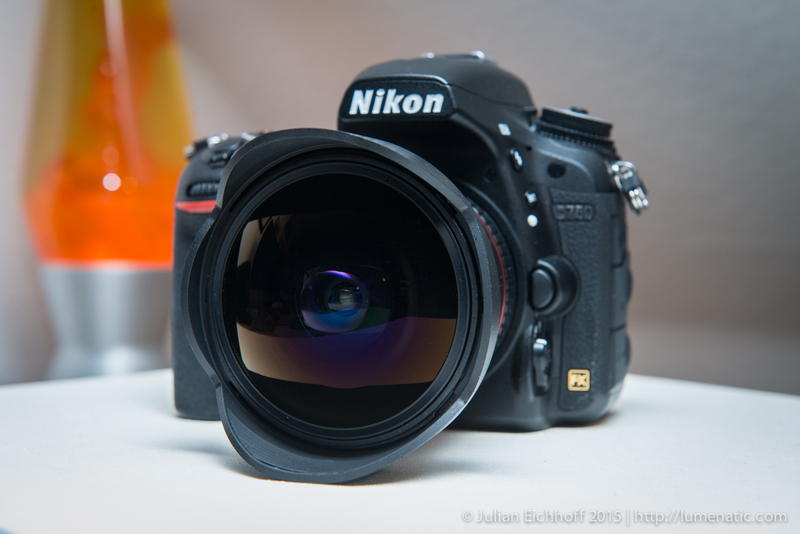 A nice deal for all full frame owners out there. Price might drop over the next months. Absolutely recommended. 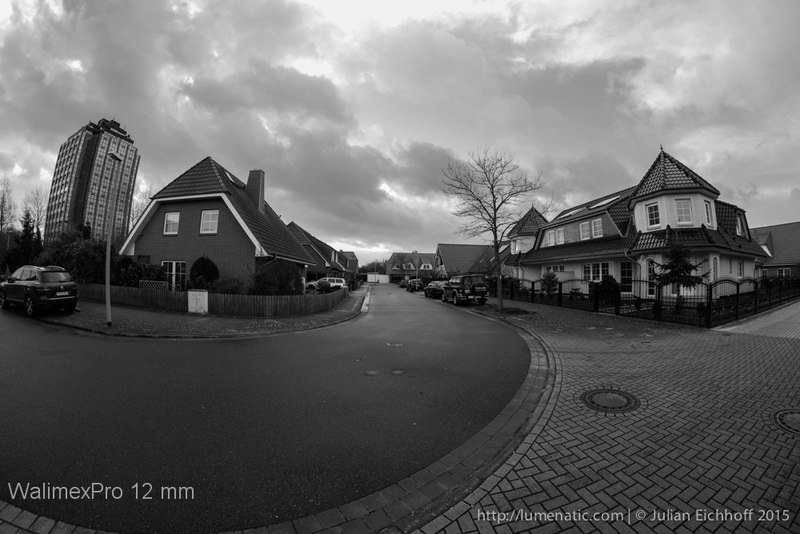 I just purchased the 12mm fisheye for my D750 also. I am getting the fEE error unless I turn the aperture ring to f22. 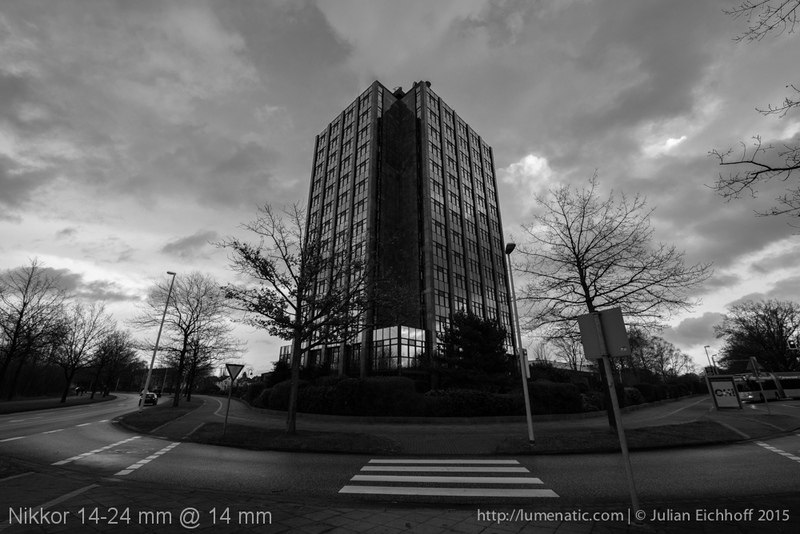 Can you tell me what you did to take advantagenof the wider apertures? Thanks in advance! 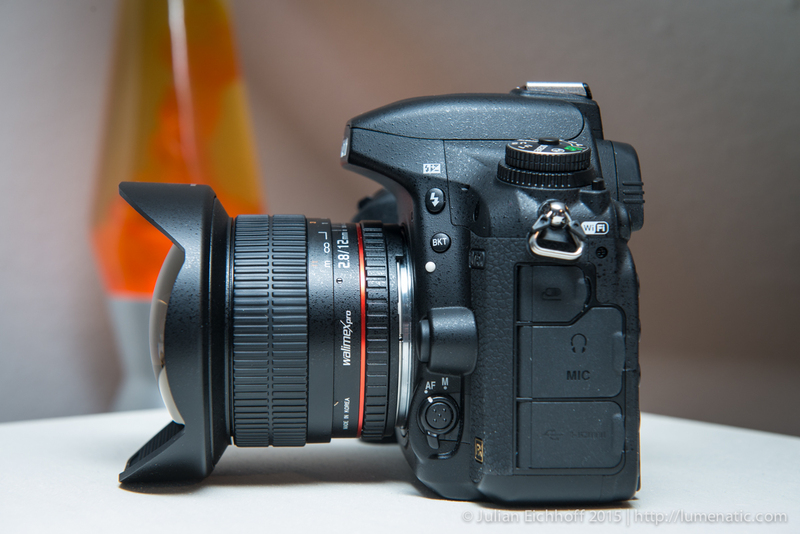 You need to set the aperture ring to F22 in order to get the automatic aperture control of the camera working. So kust leave it at f22 and start shooting ?